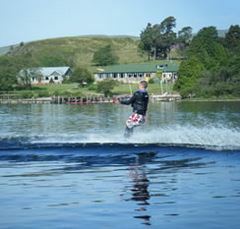 Loch Lomond watersports, fishing, sailing and diving by Inchmurrin Island. There are many activities on and around Inchmurrin to keep visitors occupied as well as the many activities around the Loch. Apart from exploring the island, eating, drinking and relaxing, water sports are the most popular recreation. Loch Lomond is the largest inland expanse of water in Britain for boating. It has the advantage of being large and the safety of being enclosed, but without the disadvantages of tides, large swells and navigational problems. It provides areas sheltered enough for ski-ing but open enough for sailing. The southern end of the Loch has many islands to explore and plenty of sheltered anchorages. The north end of the Loch, in contrast, provides long stretches of deep, open water. The Loch is suitable for any vessel including canoes, kayaks, dinghies, speed-boats, cruisers and yachts. A public launching facility and trailer park is available for all sizes of boats at the Duncan Mills Memorial Slipway, Balloch (01389 757295). There is also a picnic site and public launching for smaller boats at Milarrochy Bay, East Loch Lomond (01360 870412). Motor boats should be registered with the Loch Lomond & Trossachs National Park (www.lochlomond-trossachs.org) before coming to Loch Lomond. Places to visit by boat, starting from the south include. Loch Lomond shores (www.lochlomondshores.com) . 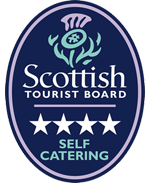 Offers speciality retailers, including Jenners; Drumkinnon Tower with restaurants, bars, cafes and a viewing point; canoeing, bike hire and cruises. Paddle Steamer “Maid of the Loch” (www.maidoftheloch.co.uk) Café/bar and see steam engines under repair. Inchcallioch Nature Reserve. Island opposite Balmaha, rich with birdlife, two miles of nature trail. Sheltered mooring at the south end of the island or ferry service from Balmaha. Balmaha: 1) Balmaha Forest and Conic Hill Walks- Queen Elizabeth Forest Park. Enjoy a gentle forest walk through the woods behind Balmaha or climb Conic Hill. 2) National Park Centre: Introduction to east Loch Lomond, audio visual show, gifts and outdoor accessories. Inchconnachan: Visit the Park Ranger house and see Scotland’s only wild wallabies. Tarbet: Cruach Tairbeirt and Tarbet Isle Forest Walks. Woodland walks linking Tarbet and Arrochar. Loch Lomond is one of Scotland’s best Lochs for salmon, sea trout and coarse fishing (especially pike). Salmon and pike of thirty pounds and sea trout of ten pounds are caught most years. With the introduction in recent years of the live bait “ruffe” the balance has changed with increasing numbers of pike and decreasing numbers of salmon and trout. The season for salmon and sea trout is 11th Feb to 31st Oct, fishing by fly or trolling with large bait for salmon and smaller bait for sea trout. The record salmon is 44lbs 8oz. The record sea trout is 22lbs 8oz. There is no close season for coarse fishing. Trolling from a moving boat is not allowed when coarse fishing. The record pike is 47lbs 11oz. Dinghies with engines and rods can be hired from Balmaha boat yard. There is always some sheltered area around the Loch where flat water can be found for ski-ing, and Inchmurrin has an area of shoreline where speed restriction do not apply. A slalom coarse is sometimes in use here. The Loch is an ideal venue for sailing for everything from small dinghies to larger yachts. The sailing can be challenging as winds tend to be more gusty than on the sea. Boats can be launched at any slipways. For club sailing contact Loch Lomond Sailing Club (www.lochlomondsc.org). 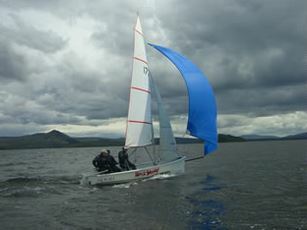 Inchmurrin is ideal for windsurfing as the appropriate side of the Island can be chosen depending on the wind direction. As all the accommodation is immediately adjacent to the water there is no distance to carry boards. Also rigs can be left assembled in the garden, ready to go. Tours: Lomond Tours. 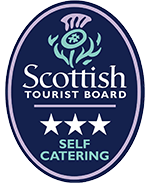 Selected day tours or private hire. Seven seater luxury travel (www.lomond-tours.co.uk).